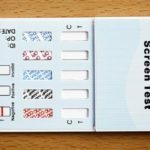 The 5 Panel Drug Test kit is the most basic urine drug test that is also the most efficient medium used to detect five of the most commonly consumed street drugs: cocaine, amphetamines, marijuana, basic opiates like heroin, and PCP. A drug test analyses a human biological specimen for common drugs of abuse. Of the many drug test kits available, the basic 5 panel drug test is the most commonly used, wherein a urine specimen collected from the donor is made to undergo a chemical process to detect drugs ingested. Why is drug testing needed? Drug abuse is one of the major causes of accidents in the workplace, truancy in schools, and deaths caused by drug overdoses; In terms of cost: drug use in America it is estimated to be a staggering $193 billion in 2007, with $120 billion in lost productivity alone according to the National Drug Intelligence Center. An estimated 70 percent of the nearly 15 million illicit drug users in the US are employed resulting in a cost of $75 billion to $100 billion a year loss to employers alone! The best way to combat these costs and social ills is to conduct random drug testing, be it in the workplace or schools. It is best described as the use of drug testing products by employers, institutions, or law enforcement to ensure that their population is not using anything deemed under scheduled classes as illegal, or those drugs not prescribed by a physician. The word ‘cocaine’ has its origins in the coca plant that grew wild in the Peruvian mountains, Columbia and Bolivia as far back as three thousand years B.C.. Most commonly available in a powdered from, cocaine is either snorted or injected; however, another form of using cocaine is by ‘smoking’ it.’ Rock crystal cocaine, is heated and the vapors are absorbed. This method of intake is referred to as ‘freebasing’ and the crackling sound produced during the heating process gives it it’s street name: crack. Cocaine addiction results in several health dangers such as constricted blood vessels, decrease in appetite, impairment of judgement resulting in risky sexual behavior, paranoia, contracting HIV due to needle sharing and cardiac arrest. Amphetamines are a group of drugs that stimulate the central nervous system and used to treat certain medical conditions. Amphetamine abuse is characterized by synthesizing the prescription-strength amphetamines to produce what is most commonly referred to as crystal meth on the streets. Methamphetamine is highly addictive and can occur with just a couple of uses of the drug. The most common symptoms of ‘meth addiction’ are increased feelings of wakefulness, pleasure, energy, alertness followed by long hours of sleep and total exhaustion along with memory loss and tooth and gum decay. Marijuana is the most commonly used illicit drug in the United States, largely due to the belief that it’s addictive properties are easily overcome and temporary. Commonly referred to as pot, it is also the most commonly abused choice of drug among teenagers and young adults. The most common symptoms of pot abuse are changes in mood, lack of ambition, depression and suicidal thoughts. The opium plant is the sources of all opiates in the form of analgesic alkaloid compounds. The compounds found in the opium plant are morphine, thebaine and codeine, which have since also been synthetically produced. The most commonly known and abused opiates are heroin, oxycodone, and fentanyl. Pain treatment legally incorporates the need for opiates for severe pain. However, it is not uncommon to note that many people develop tolerance, sometimes leading to addiction. Phencyclidine (PCP) was initially developed as an effective anesthetic given intravenously. However, due to its severe side effects such as delirium and hallucinations, it was discontinued by pharmaceutical manufacturers. PCP is a white crystalline powder that readily dissolves in liquids; Dealers sell PCP in the form of tablets, sprays, and powder. The most common symptoms of PCP use are blurred vision, drop in blood pressure, seizures and violent outbursts. Why Use the 5 panel Drug Test? (Clinical Laboratory Improvement Amendments) and dip cards. 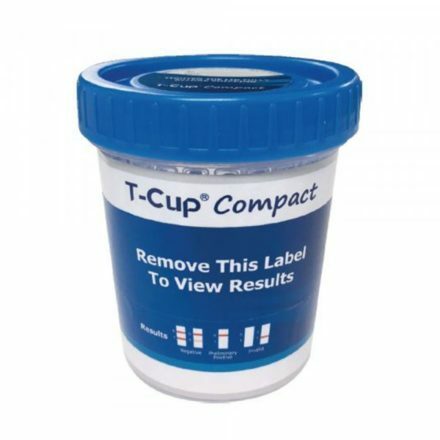 The cup is used for donor urine collection and then sealed tight with a lid, making it very conducive and convenient to transport to a certified laboratory. 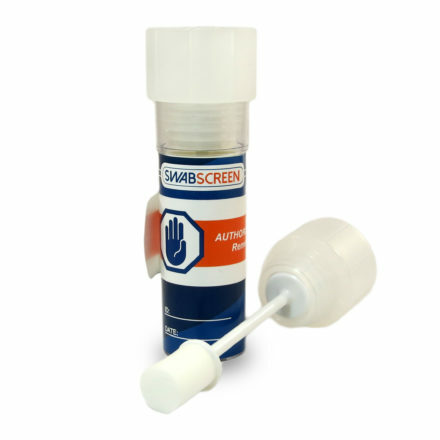 This sealing technique helps to preserve the chain of custody to ensure that the urine sample has not been switched or tampered with. Dip Cards made for the 5 panel drug screening process are usually the choice of high volume consumers such as employers, drug courts and drug rehabilitation programs. 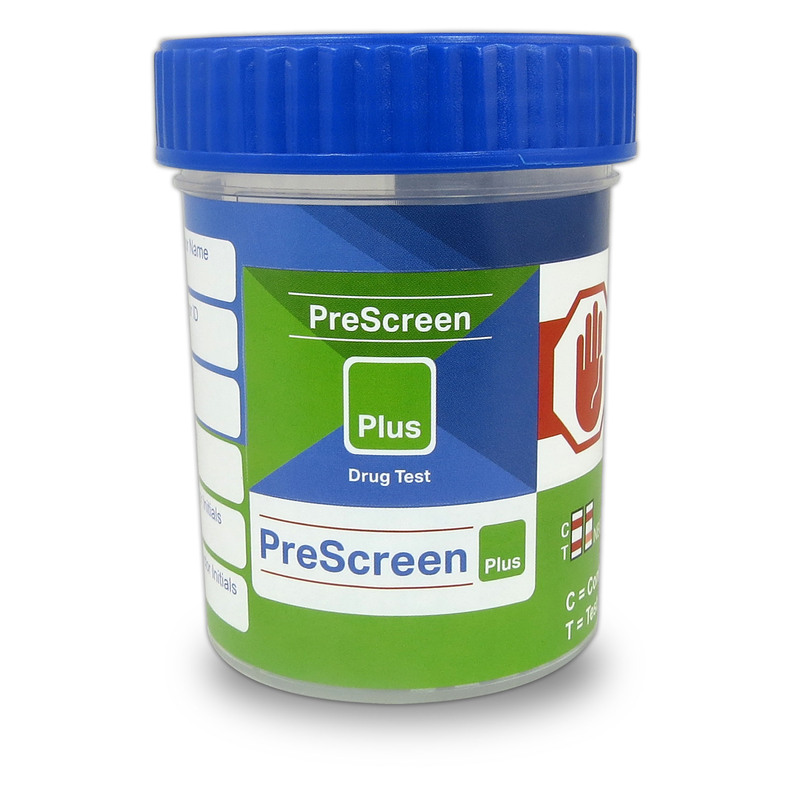 These tests are ideal for random drug detection campaigns in schools, recovery programs and for ‘reasonable suspicion’ testing. The ease of interpretation of the results eliminates the need for the chain of custody which removes the chance of tampering and or switching of the urine sample that can occur during the transportation of the sample from collection to delivery to the testing lab. 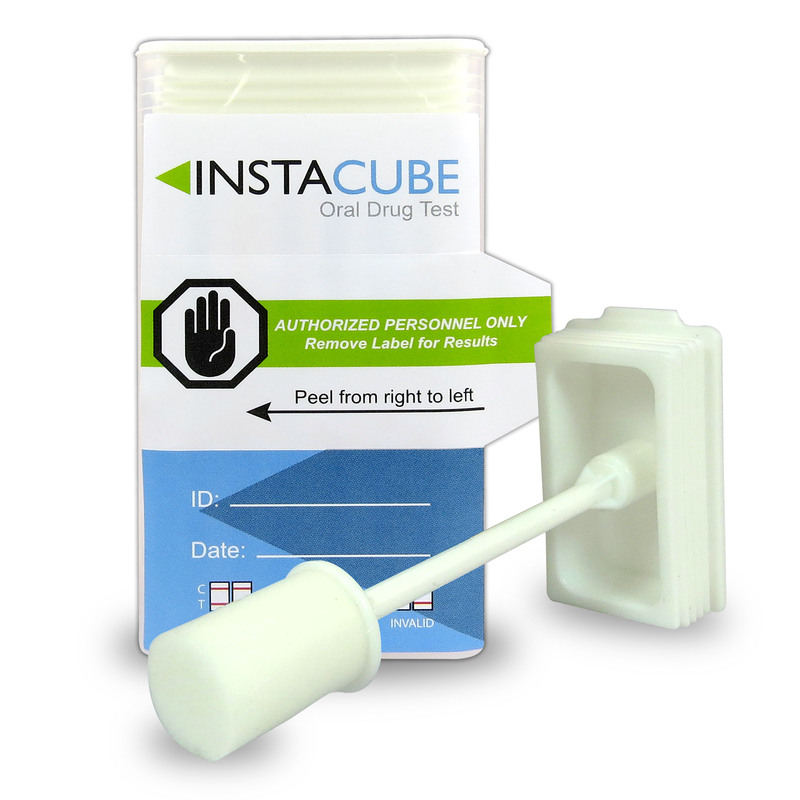 The most popular drug test kit is undoubtedly the 5 panel drug test kit that uses urine as the medium of testing. Why urine? The advantages of the 5 panel drug kit far outweigh the disadvantages. The 5 panel drug tests, whether it is the CLIA waived cup or the in the form of a strip are tremendously popular due to their ease of use, cost savings, efficiency and above all their trustworthiness. It allows employers, government departments, industries such as transportation, jail systems and schools to conduct tests to rule out drug abuse, assure a strong and healthy workforce and above all provide peace of mind.